Amelia is a champion, finishing with all majors under breeder judges. She's also a multiple BOB winner. Her structure is stunning and her movement is clean and correct at any angle. Amelia is the dam of our most talented Aussies. She whelped one litter, sired by McMatt's EZ Victor. 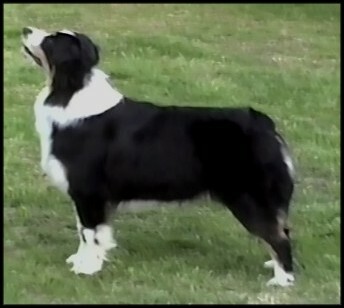 Her kids are titled in conformation, obedience, herding, agility and rally. 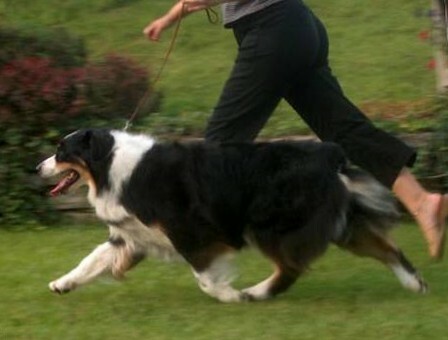 Rudy is a HIT winner in herding and Rosie has many HIT's in obedience. Simon has earned an ASCA merit award in the stockdog program. I couldn't be more pleased with the accomplishments of Amelia's only litter.